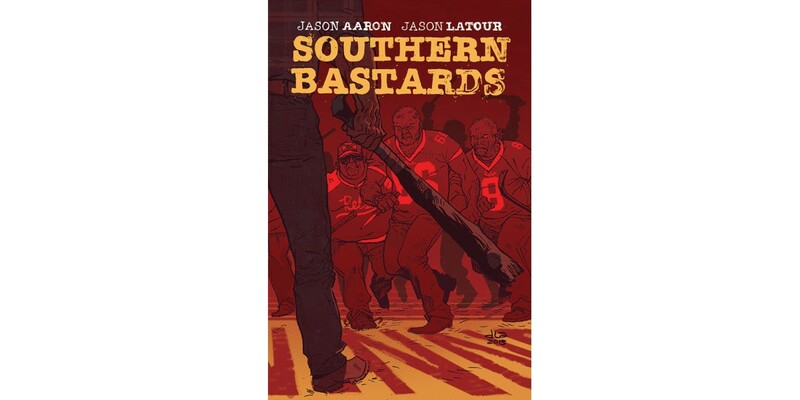 Welcome to Craw County, Alabama: breeding ground for bastards and the setting of Jason Aaron (Scalped, Wolverine, The X-Men, Thor: God of Thunder) and Jason Latour’s (Django Unchained) new ongoing crime series SOUTHERN BASTARDS. Get to know Earl Tubb, a crusty old coot who believes the only way to survive a place like Craw County is to carry a really big stick. Better than a homecooked meal, SOUTHERN BASTARDS is sure to delight readers no matter on which side of the Mason-Dixon Line they reside. SOUTHERN BASTARDS #1 arrives in stores on 4/30 and is available for $3.50. SOUTHERN BASTARDS can be pre-ordered using Diamond Code FEB140475.